tertiary to post graduate level. EASY STUDY SOLUTIONS was established since November 2014 in Nilai, Negeri Sembilan Malaysia. It is a small town but the office is located in the midst of student populations of different colleges and universities in Nilai. Some nearest institutions such as INTI University, UniKL-Miat, Admal College of Aeronautical Engineering, Nilai University, Manipal University and TAFE College. We welcome students from this region as well as Malaysian and International students from other regions. Since establishment, we have successfully sent many students to more than 50 institutions in various countries. We pride ourselves in continually maintaining a professional level of service to clients. Easy Study was established in 2014 by team of professionals and experts inspired by common mission and goal to provide eminence quality service for students who want to pursue their further education abroad and achieve international degree. We provide learning opportunities to the students who yearn for relevant quality education that assists them to achieve their professional goal and career enhancement. It needs a judicious planning and strategy to assure your dynamic future and career prospects. Therefore we provide you inclusive information about abroad universities and their courses to match your career prospects. We possess best professional counselors and experts to assist you to choose among the opportunities around the globe. To provide students with the best solutions and easy access to international universities around the world. Choosing the right UK university is one of the most important decisions in life. It’s a complex process which needs careful thought, planning and guidance. We invite you to our selection of universities, to discuss your degree options, ask us questions and generally understand if what we offer is a good fit for your ability and aspirations. Easy Study Solutions strongly believes that “Everyone Can Study”. We truly focus on education services, we extend this opportunity to everyone who wishes to study. We are committed to help everyone to Choose your Country, Choose your University, Choose your Course and Choose your right Studies! We help you to Explore the World, Discover the Possibilities, Learn and Make a difference. Our purpose of Easy Study Solution is to create opportunities to students, parents and university partners. We aim to provide the best of services to students and partners. We aim to be one of the leading overseas education consultancy companies in Malaysia. We have been in this industry for many years successfully helping students achieve their academic goals. Easy Study Solutions is committed to using its expertise to assist students in finding the most appropriate university placement worldwide. Our education consultants will guide you through the entire process of arranging for your studies in Australia, Canada, Ireland, United Kingdom, USA, Netherland and New Zealand institutions. We have good track record of providing students with an education service. We are ever committed to helping you achieve your academic goals. We are an overseas education consultancy providing one-stop comprehensive free service. My names is Anastashia Yap Tzu Jane. I am writing this Testimonial as a note of appreciation for the quality service provided by Ms. Shakeela / Easy Study Solutions office staff through out my admission and visa. I must say the correct and prompt support extended by my counselor was appreciable. She answered all my queries and was very polite and helpful throughout the procedure. You should certainly feel proud of such resources, who can bring in goodwill for the organisation. I appreciate the way you have trained your staff and the way they are following their duty perfectly. Keep up the good work. Once again thank you for the good service and I wish the company and my counsellor a lot of success. Thank you again to my counsellor for her help as I have completed my studies in the Newcastle of United Kingdom. 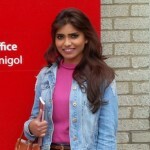 I am Hashvini Pillai and currently a student at University Of South Wales, UK. I was introduced to Ms Shakeela of Easy Study whilst I was in the midst of completing my Diploma locally. I sought her support to further my studies abroad and Ms Shakeela helped me at every stage of the process, from deciding which schools to target, developing my application strategy, profile and right up to my Visa application procession which also includes all other necessary documentation required by the University. Ms Shakeela is such a unique counselor; they don't lecture or act like normal college counselors. They really put themselves in their students' shoes, and communicate on a personal level, while still maintaining the discipline and professional stance of an Education Counselor. I truly appreciate her help and I may seek her further advice on my next level of education to pursue Master Degree abroad. My name is Hashvieney Subramaniam. I studied my Diploma in Aircraft Technology from TAFE College. Ms. Shakeela helped me to get admission into the final year degree in Institute Technology Carlow last year and now I have graduated with a Bachelor of Engineering Aircraft Systems from Institute Technology Carlow, Ireland. I now received a full scholarship from IT Carlow to continue another degree in Bachelor of Aero Engineering this Sept 2015. Studying overseas was always a dream and Ms Shakeela made that dream come true for me. 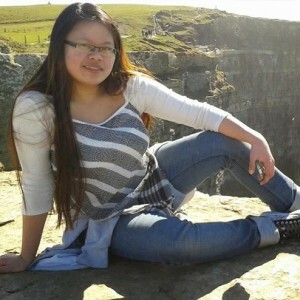 After meeting her, my fear of studying abroad all by myself seemed like a small obstacle, i was driven to success and given a golden opportunity to pursue my degree in one of the best universities in Ireland. Her guidance has been very helpful in choosing the right path for my studies. 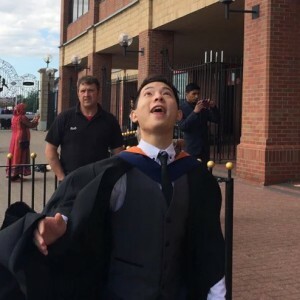 Now, i have successfully graduated and been offered a scholarship to return to Ireland. I thank Ms .Shakeela for her invaluable support & encouragement. My name is Zahara Lukwanzi. I studied Diploma in Nursing in Malaysia and Ms. Shakeela then helped me to transfer to University of Sunderland for a 1 year degree in BSc (Hons) Nursing degree. The support and guidance provided by my counselor Ms. Shakeela from Easy Study really helped a lot and I discovered many options related to the courses I was interested in. My counselor also provided valuable insights regarding the various universities which helped me choose an undergraduate programme related to my specific interests. Her guidance in everything from shortlisting universities in UK to applying for the same really helped me in making the right decision and also made it much easier. My name is Vinod Pillai. I am writing to express my complete satisfaction with my University hunt after getting to know Ms. Shakeela from Easy Study towards my choice of higher education and consultation. Ms. Shakeela was a fantastic university counsellor. Before our sessions, I had no idea what direction I wanted to go in life, but she put me on the right path in selecting the appropriate University in United Kingdom (UK) which suits my education career. Throughout this process, Ms. Shakeela kept me on track with the University submitted the appropriate forms, transcripts, reference letters and scores. Besides that she also guided in helping with student Visa application process and necessary medical test as part of the requirement from the University for overseas student. 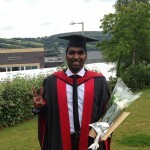 I am pleased to inform I have successfully completed my Degree with “Hons” in UK and I am again seeking her advice, opinion and guidance to pursue my Masters abroad. My name is Aswini Alexandra Asogar. International studies is always worth an experience. 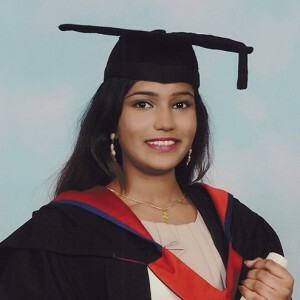 Ms. Shakeela from Easy Study has given me the opportunity to study overseas, not only were they helpful to sort my application, visa paper work but also helped me to get my accommodation sorted!! 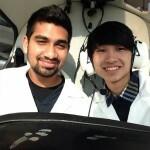 They have helped me all throughout my application process! She was extremely helpful, she gave me guidance from step to step!! Therefore, I would recommend Easy Study to anyone who is looking for a successful overseas application with a personal guidance!!! My name is Zhou Tianfu, I am from China. International studies is always worth an experience. I had one of my best time in Sunderland. Meeting new friends, knowing different culture, different people and new life in Sunderland has been my wonderful memories and moments of my life. I would like to thank all the staff members and counsellors from Easy Study / Ms. Shakeela for suggesting, helping me and providing me an opportunity to experience this wonderful journey. 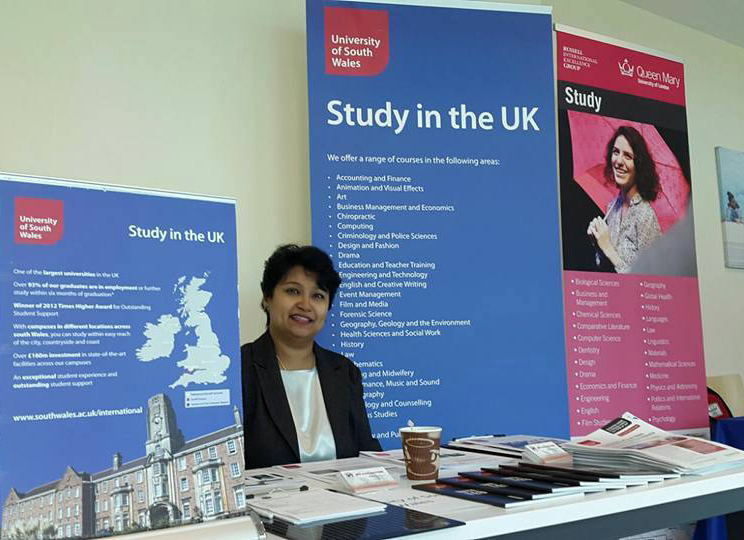 I always wanted to study my masters in field of Business in the UK, University of Sunderland helped me in broadening my skills and knowledge of Business Marketing. My name is Shean Christie, I am a Sri Lankan. I am writing this testimonial as a note of appreciation for the quality service provided by Ms Shakeela of Easy Study Solutions through out my admission and visa. I must say the correct and prompt support extended by my counselor was most appreciable. She answered all my queries and was very polite and helpful throughout the procedure especially in obtaining my Irish student visa. Easy Study Solutions should certainly feel proud of such resources, who can bring in goodwill for the organization. Once again thank you for good service and I wish the company and my counselor a lot of success. 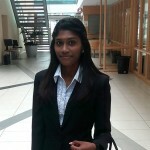 Thank you again to my counsellor Ms. Shakeela for her help as I completed my studies in Ireland this year. I first know Ms. Shakeela many years ago when she first helped me and my friend Prakash to study in IT Carlow, Ireland in year 2013. 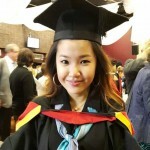 I have completed my Bachelor degree then and I continue to study my postgraduate masters studies. It was Ms. Shakeela who has so much helped me to achieve all this. She has helped me all throughout my application process! She was extremely helpful, she gave me guidance from step to step!! Therefore, I would recommend Easy Study to anyone who is looking for a successful overseas application with a personal guidance!!! My name is Soon Ming Lee. Accepting the help of Easy Solution is the starting point of an exciting journey for me. With limited financial support, I can hardly dream of study oversea. 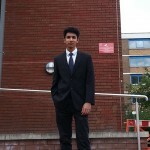 However, Easy Solution had given me great encouragement and alternative that are suitable and affordable. Ireland is a amazing place to study, not only in the class room but also the culture. Institute of Technology Tralee in Ireland had broaden my skill and knowledge. Institute Technology Tralee gives free ensuite accommodation, very reasonable tuition fees and a good environment for studies. There is also internships provided in the 3rd year of studies. The staff and lecturer are very friendly and helpful too. I give a million thanks to Easy Study Solution for providing me all this and I sincerely hope that Easy Study Solution will keep on helping student who dream of study overseas. Thank You. 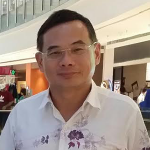 Hi My name is Alan Kok & I would like to write this note of appreciation to Mary Shakeela of Easy Study Solutions Sdn Bhd. 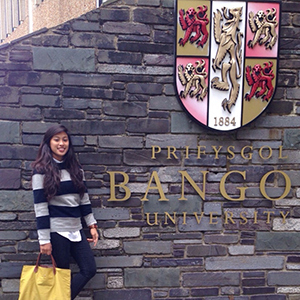 She assisted & guided my daughter, Janice for her studies in Ocean Science in Bangor University UK. 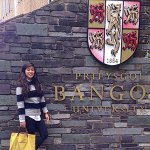 As there is only a handful of universities in The UK which offer such courses, I am truly glad that my daughter is enjoying the course of her choice & her university life in Bangor, Wales. 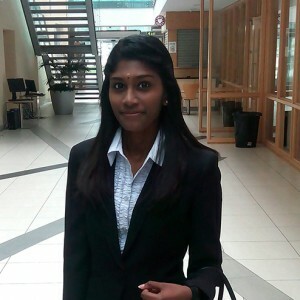 Mary assisted us in all aspects including application for scholarship, visa & accommodation. Mary is very knowledgeable and she works with passion as an education counselor & that’s what makes the difference between her & other counselor whom I have come across. Keep up the good work, Mary.